Hi guys! Saturday was a beautiful day but so cold! I put on this knit sweater from Zara, which I love. It reminds me of Chanel and it's so comfy. Hope you all had a great weekend! Olá! Sábado esteve um dia lindo mas imenso frio! Pus esta camisola da Zara, que gosto imenso.﻿ Faz-me lembrar a Chanel e é tão quentinha e confortável. Espero que tenham tido um óptimo fim de semana! great look, love the combination of necklace and sweater! 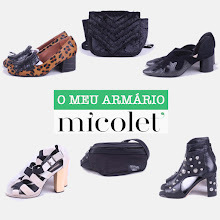 Faz mesmo lembrar a Chanel ;) o conjunto está muito giro, super casual e confortável. awww you look lovable with this outfit! that knit is so adorable, i love the pattern as well and you styled it well with jacket, make it look elegant and chic at the same time, and love those boots too! you have very beautiful smile sweetie! Adorei :) Aqui por Lisboa teve bastante sol e até um pouco quentinho! Love this outfit!! The tweed style actually reminds me of Chanel too! Love the studs on the jacket! Hope you are having a wonderful day! love bag and pants !!!! Loving that jacket girl :). It's quite awesome! Amazing outfit! I have also the same sweater. Maybe I'm also going yo try wear it like that! beautiful as always!! love the jersey, I have it too!! :) have a lovely week! Thanks for your visit and kind comment on my blog darling!! The look is very comfy yet chic! Hey.. I'm waiting for warmer days, too. This sweater is really gorgeous and you styled it great! Muy guapa! !me encanta el look y te queda genial!! I love that top - the neutral earth tones are beautiful on you! very nice look, love your boots! What a beautiful outfit! Simple but so pretty, the jumper is gorgeous. Beautiful! I love the combination of your sweater and jacket! This is definitely an outfit I'd wear, I love it all! So casual but trendy. adoroooo a camisola ! é linda! In love with how you accessorise your outfit! Like so much your necklace & bag! ,i'm following you would be glad if you'd follow me too !